Moraga, California and Bethesda, Maryland. 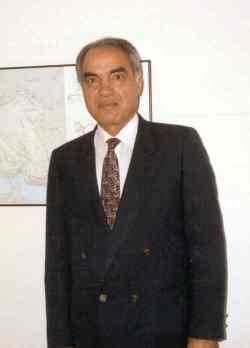 Professor, National University of Iran (Melli University); Dean, School of Law, National University (1970-1976); Chancellor, National University (1977-1979; Chair, Executive Committee, Rastakhiz Party (1976-1978). Family and educational background; recollections of the intellectual and academic environment in Iranian universities in the 1960s and 1970s; planning for higher education in Iran; reorganization of the National University of Iran; political climate of the Iranian universities in the 1970s; extent of political freedom on the campuses; assessment of the quality of higher education in Iran; on SAVAK's influence in university campuses; on Parviz Sabeti; on Prime Minister Hoveyda's leadership style and personal qualities; origins of the idea of the Rastakhiz Party; structure, agenda, and mode of operation of the Party; Prime Minister Hoveyda's reaction to the Rastakhiz Party; on the Shah's distrust of the Rastakhiz Party and his efforts to curb its power; recollections of the management of the Rastakhiz Party by its various secretary-generals; extent of the Party's popularity and success; reasons for the Party's failure to curb revolutionary mobilization of the masses; on the meeting between the Shah and Karim Sanjabi in 1978; on Amir Asadollah Alam; on the administration of Khorasan Province; on the roots of the Revolution of 1978-79.